I work at the intersection of art, ethnography and identity politics. My research is closely connected to my work as an artist. From a social science standpoint, my drawings and paintings are “thick descriptions”: they represent an accumulation of personal, cultural and spiritual information of the person in his or her context. Exploring people through portrait painting has the additional benefit of slowness, duration and contemplation being part of the research process. I explore naturalist-realist painting as a way of discovering identities, their social construction and the politics behind them. My concern is thereby also a methodological one: Painting people in their social context is a way of seeing, and of doing anthropology. Not for nothing are narratives called ‘painting a picture’. My idea is a simple one: paint that picture! Naturalist-realist painting allows for time, repeated and deep interaction with the other person. What is more, it is based on a set of rigorous methods and techniques, such as “sight-size”. These methods and techniques are themselves rooted in a specific philosophical tradition of understanding and representing the world. Naturalist-realist painting thus may lend itself to bridging the gap between the arts and sciences. I am currently working on my next book manuscript, on the topic of Painting in Ethnography and Anthropology. This project discusses the relevance of drawing and painting in the production of anthropological knowledge. The book will take a historical perspective, reviewing first the drawings and paintings produced by early anthropologists. It will then compare these with the work done by more current anthropologists, in light of new approaches to ethnography and explorations of methods and alternative tools. One of these is contemporary naturalist-realist painting, and specifically portrait-painting, which I practice as part of my own field research. The book will tackle questions relating to the philosophy and politics of interpretation and representation. A first article on the relevance of portrait-painting as part of ethnography will be published in the Visual Anthropology Review in the Fall of 2015. I am currently working on another article dealing with the process of portrait painting in the field, specifically in the Basque Country. Another article, drawing on the kind of qualitative information I have gathered through portrait painting in the Basque Country, is published with Public Art Dialogue in the Fall of 2014. In 2013, I began collaboration with the collective Ethnographic Terminalia and specifically with anthropologists Craig Campbell and Fiona McDonald to reflect on the intersections of art and ethnography and on the issues of slowness, duration and deep description in the ethnographic process. Through this collaboration, I was invited to demonstrate my technique at the American Natural History Museum in New York City in October 2013, at the Arts Incubator in Chicago, IL, in November 2014, and at the Blanton Museum of Art in Austin, TX, in September 2014. We are currently working towards the organization of future workshops and publications on the concept of ‘slow ethnography’. I am also working with Carol Hendrickson in the organization of a panel of anthropologists reflecting on their use of drawing and painting in the production of anthropological knowledge. My anthropological research began with an interest in identity politics, specifically in the context of minority and stateless nationalism. My main case study was the Basque Country in France and Spain, where I focused on the border area that was, during the 1990s, undergoing institutional and socio-economic change as part of the European Union. My work examined the ways in which individuals construct and express their identity according to the different social, cultural and political situations. I suggested re-thinking the concept of identity in terms of a configuration of boundaries that are constantly drawn, crossed and re-interpreted by individuals in the course of everyday social interaction. My concept of ‘living boundaries’ served in my subsequent research project, begun in 2011, to examine the political role that art and artists play in Basque society today. I organized a conference on the topic at the Center for Basque Studies, gathering a selection of artists, curators, sociologists and art historians to discuss from their different perspectives the relationship between art and politics. The proceedings of the conference were published in 2015. Other articles of mine have discussed the interlacing of identity politics, including gender and nationalism, with art. Current research focuses on art in the contested context of Jerusalem. During my fieldwork research, as I painted the portraits of individuals, and specifically of artists, I began to reflect on the relevance of art to anthropological knowledge. Thus I came to my current work concerned with drawing and painting as a way of getting to know. Art, Politics and Identity, with a Basque focus. Gender Studies, with a Basque focus. Visiting Professor, European Forum, Hebrew University of Jerusalem. Lady Davis Visiting Professor, Hebrew University of Jerusalem. Junior Faculty Research and Artistry Grant, College of Liberal Arts, UNR, USA. Research Grant, Eusko Ikaskuntza (Basque Studies Society), France. 2013 Quasi-Endowment Fund, Center for Basque Studies, UNR, USA. Bray, Zoe. (ed) (2014) Beyond Guernica and the Guggenheim: Art and Politics from a comparative perspective. Reno: Center for Basque Studies Press. Bray, Zoe. (2011) Living Boundaries: Frontiers and Identity in the Basque Country. Reno: Center for Basque Studies Press. Second Edition. (First Edition with PIE Peter Lang, Brussels). Bray, Zoe. (Forthcoming) ‘Anthropology with a Paint Brush: Naturalist-Realist Painting as Thick Description’, in Visual Anthropology Review. Bray, Zoe and Christian Thauer. (Forthcoming) ‘Utopian Spaces, Dystopian Places? Corporate Social Responsibility and Globalization: A Local Community-Based Perspective’, in Nature and Culture. Bray, Zoe. 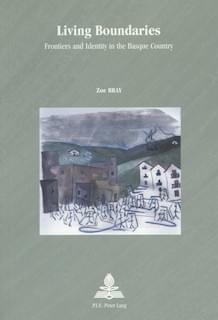 (Forthcoming) ‘Introduction: Understanding Relations between Art and Politics’, in Zoe Bray (ed. ), Beyond Guernica and the Guggenheim: Art and Politics in the Basque Country from a Comparative and Interdisciplinary Perspective. Reno: Center for Basque Studies Press. Bray, Zoe. (Forthcoming) ‘Identity Politics and Art: the Case of the Cultural Association Haize Berri in the French Basque Country’, in Zoe Bray (ed. ), Beyond Guernica and the Guggenheim: Art and Politics in the Basque Country from a Comparative and Interdisciplinary Perspective. Reno: Center for Basque Studies Press. Bray, Zoe. (2014) ‘Sculptures of Discord: Public Art and the Politics of Commemoration in the Basque Country’, in Public Art Dialogue, 4 (2), 221-248. Bray, Zoe. (2014) ‘Interviews with Two Basque Artists: Ana Laura Aláez and Azucena Vieites’, in N:paradoxa, International Feminist Art Journal. 34, July, 5-15. Bray, Zoe and Keating, Michael. 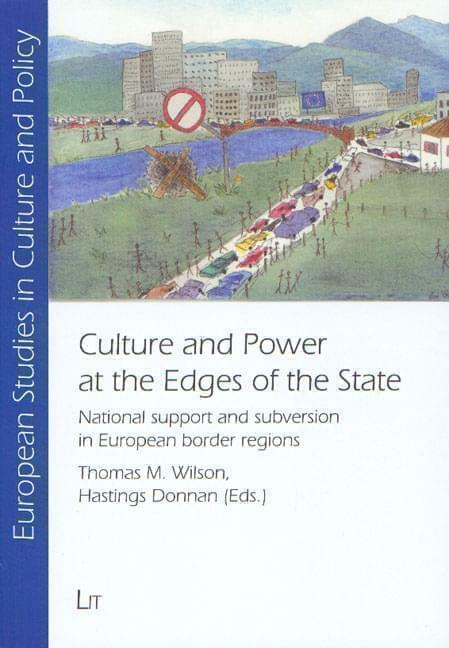 (2013) ‘European Integration and the Basque Country in France and Spain’, in T. J. Mabry, J. McGarry and B. O’Leary (eds. ), Divided Nations and the Expanded European Union, Philadelphia, University of Pennsylvania Press, 127-156. Bray, Zoe. (2012) ‘Ser Vasco Hoy’, in Estefania Jimenez, Igor Filibi, Jone Martinez, Eztitzen Miranda, Cristina Perales, Victor Santiago Pozas (eds.) De la Agenda a lo Imprevisto: El Tratamiento a las Principales Candidaturas en la Prensa Durante las Elecciones Forales de 2011 en Bizkaia, University of the Basque Country Press, Bilbao, 10-13. Bray, Zoe. (2010) ‘Innovation in Working Practices: An Anthropological Perspective’, in Projectics/Proyéctica/Projectique, 3(6), 57-68. Bray, Zoe. (2008) ‘Ethnographic methods’, in (Michael Keating and Donatella della Porta eds.) Methodologies in the Social and Political Sciences. Cambridge University Press. Bray, Zoe (2006) 'Basque Militant Youths in France: New Experiences of Ethnonational Identity in the European context’, Journal of Nationalism and Ethnic Politics, No. 12, 533-553. Keating, Michael and Bray, Zoe (2006) ‘Basque Nationalism, European Integration and the Ibarretxe Plan’, Journal of Ethnopolitics, Vol. 5, No.4, 347-364. Bray, Zoe. (2006) ‘Identité : définitions et interprétations au Pays basque’, in Bulletin du Musée Basque. 2014. Blanton Museum of Art, with the Department of Anthropology of the University of Austin, Texas. ‘Slow Ethnography: portrait-painting in the field’. 2013. Chicago Arts Incubator, with the collective Ethnographic Terminalia. 2013. American Naturalist History Museum, New York City, with the collective Ethnographic Terminalia and the Mead Film Festival. 2010. Ecole Supérieure des Technologies Industrielles, Journées d’Innovation, Bidart, France. 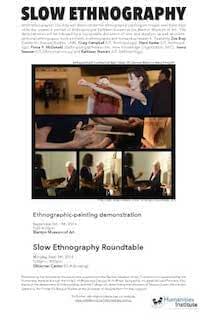 ‘Slow Ethnography Demonstration and Roundtable, in Austin, Texas’, 2014. ‘Presentation of Xilaba, French Basque Bertsu Championships’, 2010. 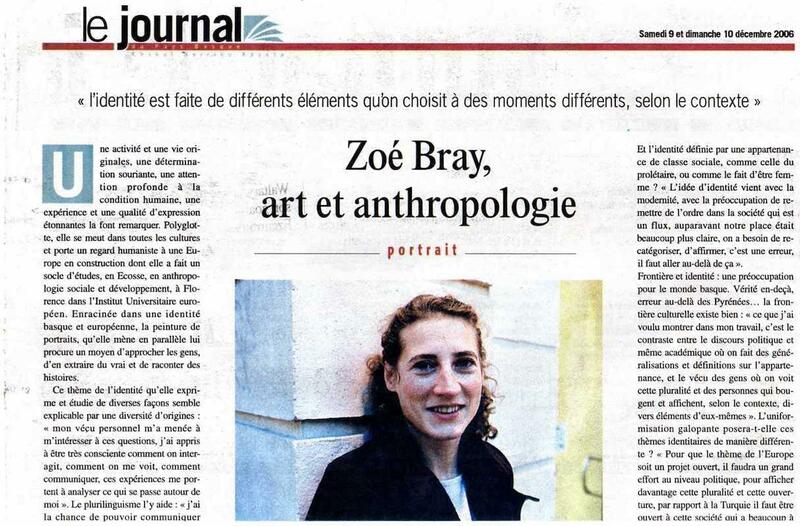 ‘Feature Article in Le Journal du Pays Basque’, 2006.